What is a flushable wipe? Flushable wipes are a personal cleansing alternative to toilet paper. They are more effective than toilet paper, leaving your nether-regions feeling clean and fresh. For best results, flush only one or two wipes at a time so that you don't inadvertently clog the toilet. Look for disposable personal cleansing cloths that are flushable and break down quickly. 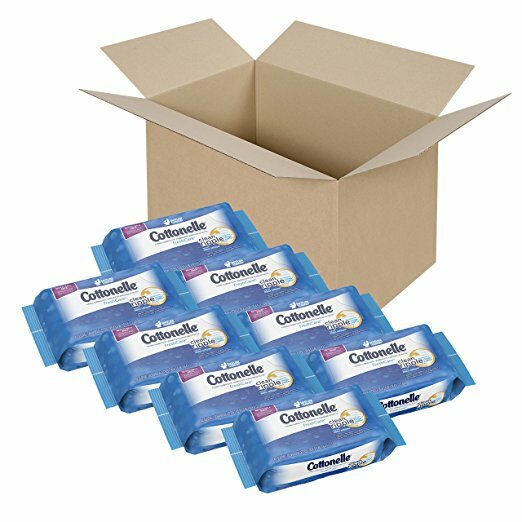 Amazon's Choice for flushable wipes, the Cottonelle FreshCare Flushable Cleansing Cloths are some of the most popular wipes on the market. They are alcohol-free and sewer- and septic-safe thanks to SafeFlush Technology. They have a ripple texture, fresh scent, and Quick Dry Performance. These have outstanding online reviews, including nearly 1,000 five-star reviews on Amazon. 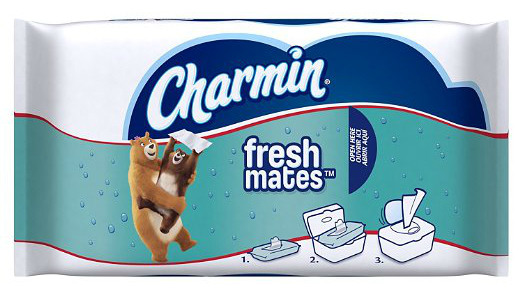 Amazon's #1 best-seller in rinse-free body cleansers and wipes, the Charmin Freshmates Flushable Wet Wipes smell great and are sewer- and septic-safe. They have outstanding online reviews, including more than 500 five-star reviews on Amazon and are some of the most popular wipes on the market. 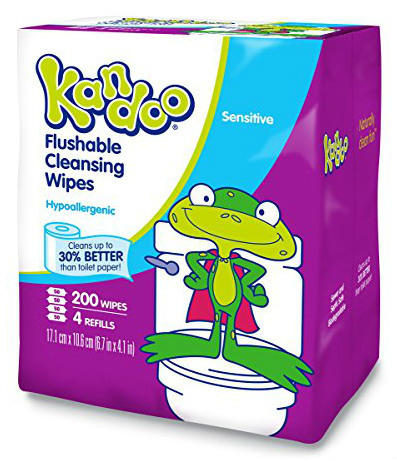 The Kandoo Flushable Biodegradable Training and Kids Cleansing Wet Wipes have a fresh scent. They're flush friendly, biodegradable, and moistened with lotion to be extra soft. The gentle wipes are hypoallergenic and have no drying alcohols, parabens, or sulfates, so they can be safely used on all ages and sensitive skin. They have great reviews and are frequently recommended online. 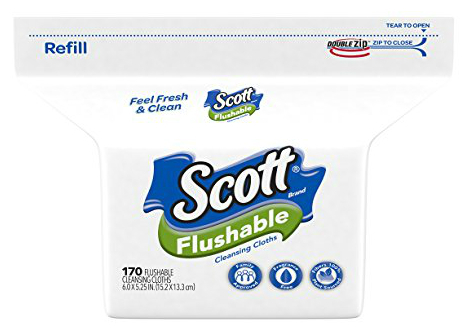 The Scott Naturals Flushable Cleansing Cloths have a soft touch and fresh scent. The natural personal wipes are made from sustainable resources and have no alcohol or artificial dyes, so they're safe to use on sensitive skin. The SafeFlush technology helps break down the wipes so they are septic- and sewer-safe. The moist wipes have outstanding reviews and are frequently recommended online. 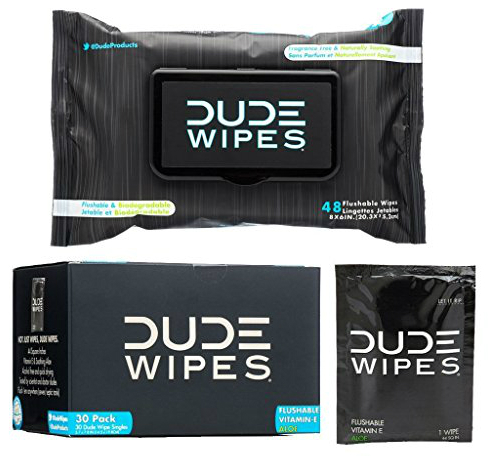 DUDE Wipes have been a success ever since they were featured on Shark Tank. This set comes with 30 individually wrapped flushable singles for travel and a dispenser pack with 48 wipes. They are sewer- and septic-safe, 100% biodegradable, hypoallergenic, and free of alcohol, paraben, and fragrance. They are made of all natural, sustainable wipe material, including aloe vera and vitamin E to soothe sensitive skin. They are extra thick and 25 percent larger than average flushable wipes to cover larger areas. The convenient travel wipes are pocket sized, TSA-approved, and perfect for use anywhere. They can also be used on your face, armpits, hands, and body. They have outstanding online reviews and even make a great gift for any man in your life. They are also backed by a money-back guarantee. 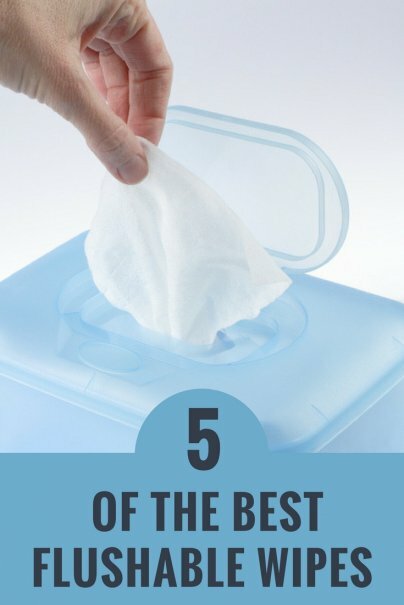 And those are our recommendations for the best flushable wipes. As always, be sure to check Wise Bread's Buying Calendar to learn when and how to buy just about anything!